bacon wrapped scallops | what is clara eating today? This is more of a protein meal, so I serve desserts like ice pop or chocolate panna cotta afterwards to make up for the ratio. Bake the bacon strips at 350F for 10-12 minutes, until the edges start to brown but are still flexible. Dip each scallops in melted butter. 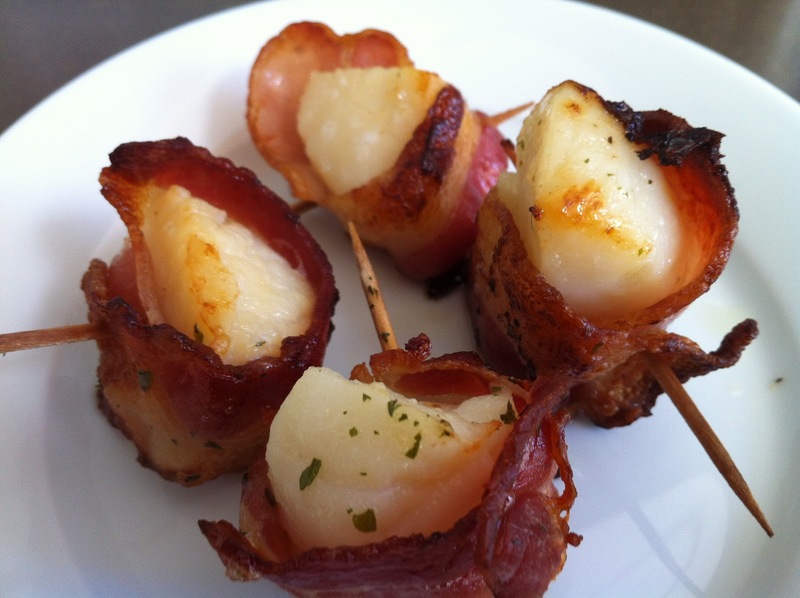 wrap each scallop with a bacon strip and secure with skewers. Place on a baking sheet lined with parchment paper. sprinkle with parsley and drizzle with olive oil. Bake at 425 for about 20 minutes turning once or until done.